Whether you opt for a detached villa, a townhouse or an apartment, purchasing a property in Punta Prima is a great investment opportunity. 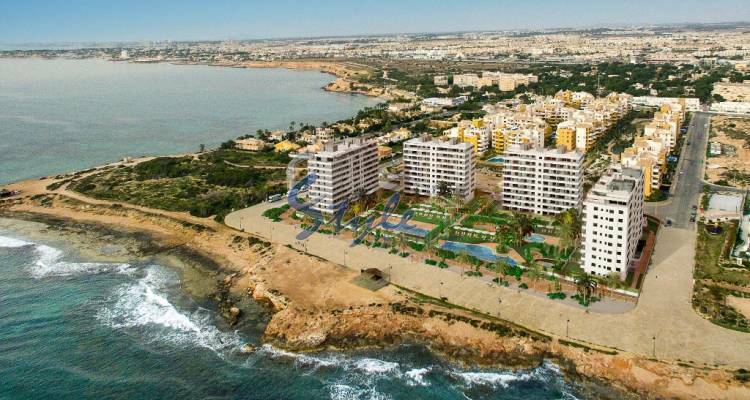 Punta Prima is a popular beach tourist resort located in Orihuela Costa, just south of Torrevieja on the Costa Blanca south. With a large European resident community, there is an international feel to this place, but at the same time mixed with a Spanish taste. Everything you need for a great family holiday in the sun is right here in Punta Prima. There are plenty of facilities around, including many shops and very good quality restaurants and bars. Just five minutes drive from the beach you get to Zenia Boulevard, the biggest shopping centre in the province of Alicante, featuring over a hundred and fifty shops, and a large variety of Spanish and international restaurants. It couldn´t be easier to find your dream holiday home or permanent home in Punta Prima with E-Style Spain. Our team of estate agents has over 20 years' experience and a deep knowledge of the Costa Blanca property market. Feel free to contact us today if you are looking to buy a property in Punta Prima, Costa Blanca South. We will make it easy for you!